The Juniper bar at the Andaz in Delhi has a concept of minimal botanical. It is a gin bar, with hundreds of gin infusions to make gorgeous cocktails. 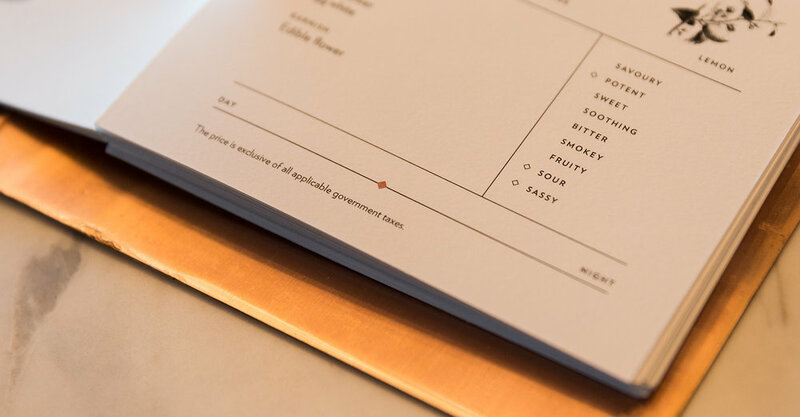 Each cocktail plays heavily on gin's medical past through explorations with perfumery and holistic medicines. 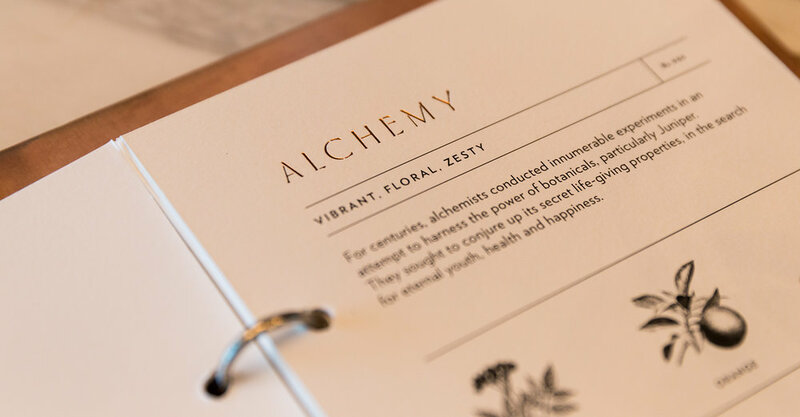 The drinks read with various references to elixirs, tinctures, extracts, essences and oils. A gin apothecary, so to speak. 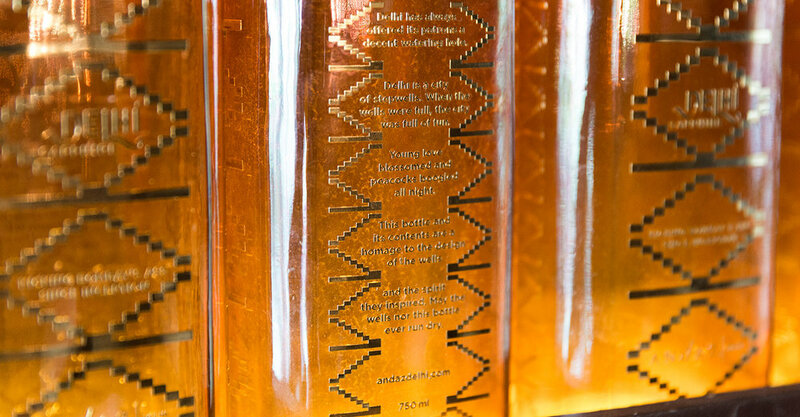 We also designed a bottle of gin – an ode to Delhi, a little joke on Bombay – Delhi Sapphire! 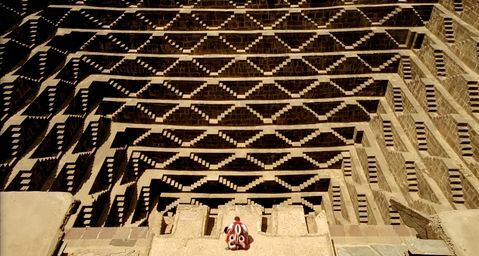 The inspiration for the pattern was stepwells. Stepwells are wells or ponds in which the water is reached by descending a set of steps. They are most common in western India. The construction of is mainly utilitarian, though they may include embellishments of architectural significance, and be temple tanks.